The Dark Futuristic Sound-Scapes, Broken Beat, Electro, Techno will lead you through the emotions. Not to be Missed! The long awaited follow up to Adam's last album "Fate Unknown" has finally arrived. 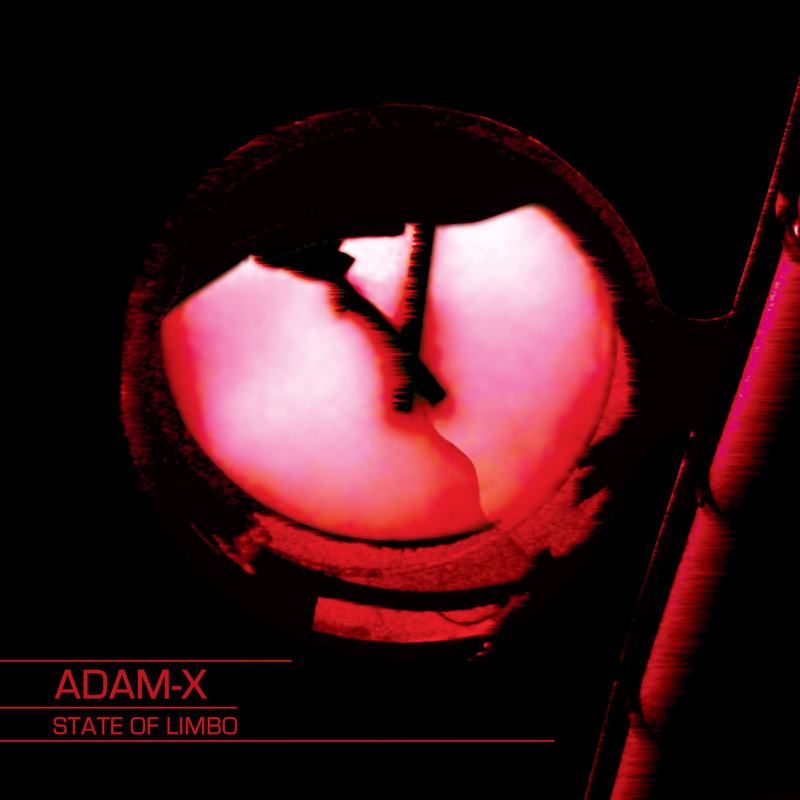 Adam,on his continuing mission to cross the parallels of Techno, EBM, Electro has gone on to create his most conceptual & best produced album to date. The albumn from start to finish is the perfect soundtrack for a dark science fiction thriller. The dark futuristic sound-scapes, hard broken beat, electro and self reflecting vocals written on four songs on this album will lead you through the emotions of a living being that is half metal machine and half human being. Adam X is a world-renowned Considered a pioneer in the American techno movement dating back to 1990. On the Industrial/EBM front Adam has released full length CD's on the legendary American Industrial/EBM Wax Trax. In techno, Adam has many releases on top Techno labels. Adam X has performed alongside Aphex Twin, Derrick May, Nitzer Ebb, Andrew Weatherall and countless others. State Of Limbo is work Of Atmosphere Not to be Missed! A pioneer in the American techno movement is Back! Whatever the definition of his music, EBM or techno or techno-EBM 'State Of Limbo' sounds like a relief in the impressive list of new releases dominated by dark electronics!